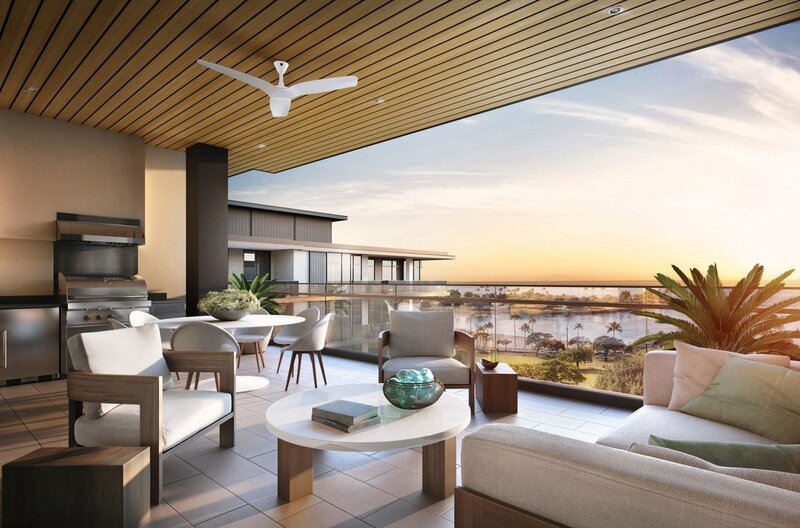 Park Lane represents something entirely new for Hawaii in architectural design. In an effort to create a true community, the development and design teams took the concept of a high rise building and “turned it on its side.” The result is 7.3 spacious acres with eight buildings situated among lush courtyards and a Great Lawn. Park Lane embodies the atmosphere of a private resort surrounded by magnificent estate homes. Its contemporary design is inspired by the Islands’ natural beauty and iconic Hawaii architecture. Employing a minimal design, Park Lane blends perfectly with its metropolitan environment, while evoking an air of sophistication. 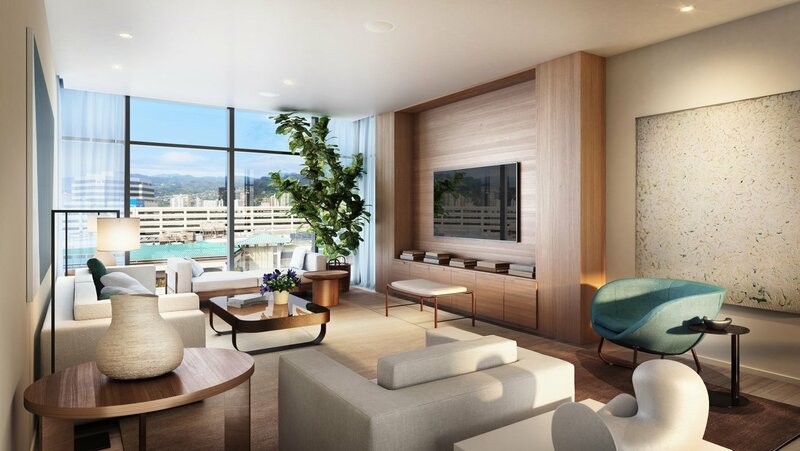 Perched elegantly on the ocean side of Ala Moana Center, each Park Lane unit enjoys a different island view. 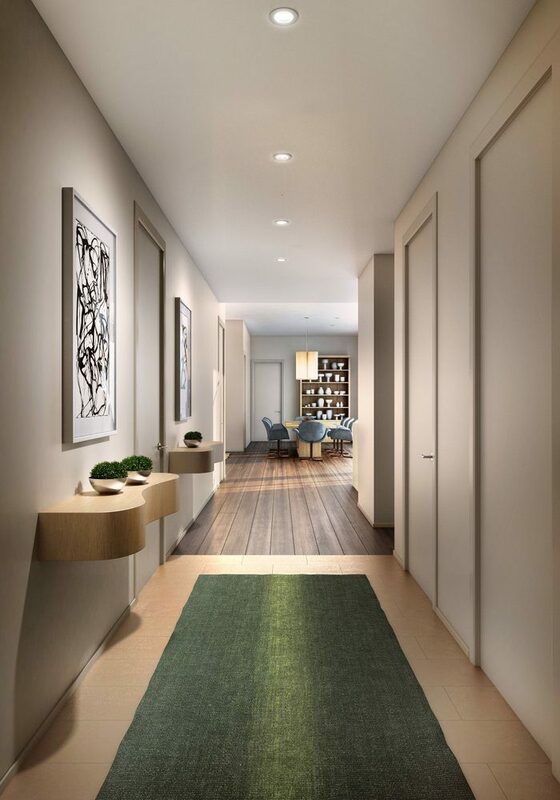 All residences retain an air of gracious elegance and sense of place, grounded in family life and the spirit of community. Materials, fixtures and finishes were all hand-sourced by the design team. 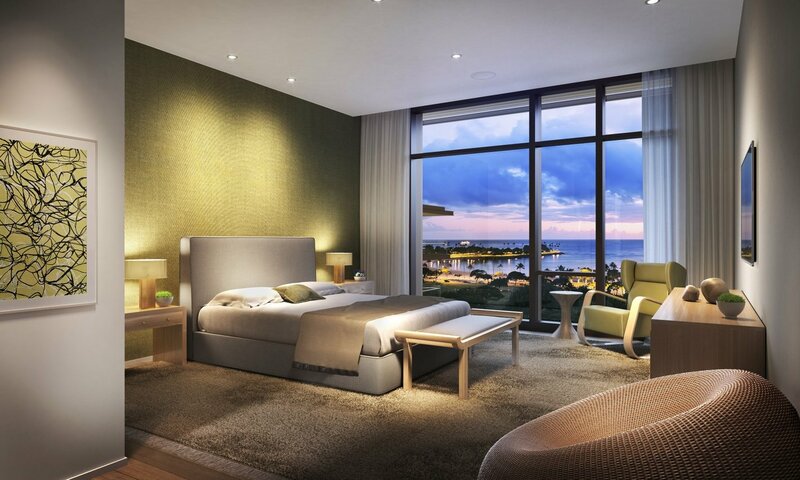 Nature is the main source of inspiration for Park lane, being surrounded by a park, the ocean and the sky. The residents of these homes are able to feel like they’re a part of that environment. Indoor/outdoor living is an important component of Park Lane. 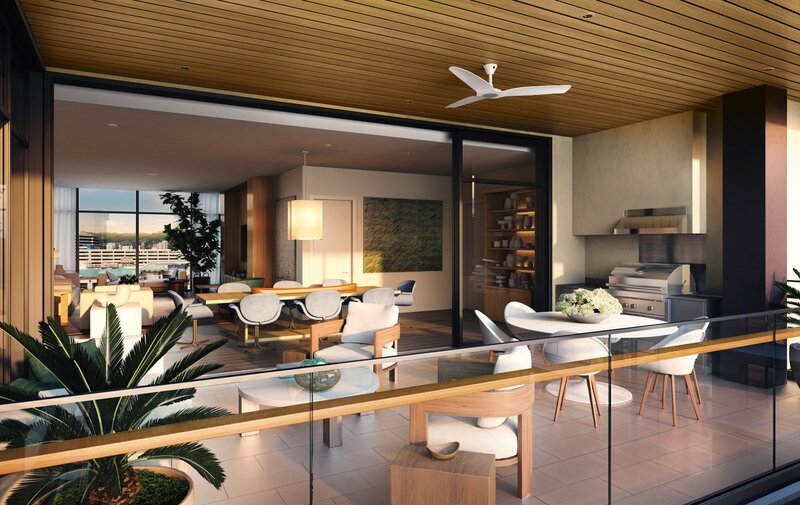 Indoor living spaces transition seamlessly to the outside lanais. When the sliding doors are open, it’s as if there’s nothing to separate you from the tropical beauty outside.